T&S Concrete Systems works with builders and designers in Southwest Florida who want to offer their new home and renovation customers innovative and affordable alternatives to ordinary pool decks, lanais, walkways and flooring. We excel at creating bold walkways and sidewalks that accent and enhance the natural surrounding beauty, yet are a durable and more affordable alternative. Unlike brick and ordinary paving, our pool decks, driveways and lanais resist settling, mold, mildew, weeds, insects, cracking and chipping, and are easier to maintain. We use superior decorative concrete products that offer design flexibility and versatility. T&S Concrete has been a leading provider of structural concrete services to Southwest Florida’s Finest Home Builders and designers for over 25 years. We provide builders of custom home and commercial projects with accurate estimates and cost analysis, reliable and experienced supervisors and tradesmen, and dependable subcontractors and suppliers. We always works in the best interest of the client, with the aim and desire to establish lasting relationships built on trust, integrity and reliability. 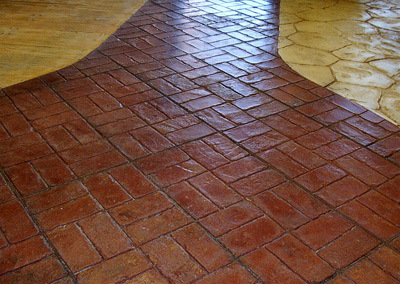 Let us help you make your decorative or structural concrete visions become reality. T&S Concrete Systems - trusted innovation and quality for over 25 years. Please visit our Showcase Page to see our projects! © 2012 - T&S Concrete Systems, Inc.
of this website is strictly prohibited without written permission from T&S Concrete Systems, Inc.